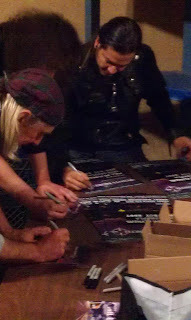 Eric, Kevin and Uriah autographing the Points North CDs. If you preordered, these will go out as soon as the band sends them back. Most likely shipping next Monday, March 12th.